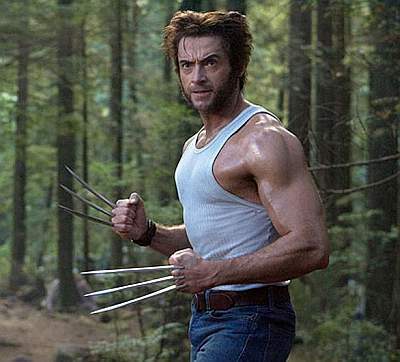 The 44-year-old actor has gotten in shape to reprise the role of Wolverine for 'X-Men: Days of Future Past' and his co-star Ellen Page has been impressed by his physique on set. She told E! Online: “It's as or more [ridiculous] in person. I might have caught him with his shirt off and I was like ‘Dang! How much time does that take?!'" Ellen's last 'X-Men' movie was 2006's 'X-Men: The Last Stand' with Hugh and Halle Berry and she loves that the cast have reunited for the prequel, along with the new franchise stars including Jennifer Lawrence. She said: "It's been awesome. It's felt like a reunion and [with] a whole new cast that's sick. You have Jennifer Lawrence and James McAvoy and Michael Fassbender. I couldn't be more excited to be back. "I think it's awesome. I think Bryan Singer is making an incredibly epic film." Director Bryan recently revealed his hopes that the mix of older and newer faces - including Sir Ian McKellen as Magneto from the original trilogy and Jennifer as Mystique from 'First Class' - will entice all audiences. He explained: "We wanted an opportunity to bring some of the favorite older and younger characters together." Other A-list stars who are set to reprise their roles from the various 'X-Men' films include Sir Patrick Stewart, Anna Paquin and Shawn Ashmore.